Margaret Jacobs’s new book, A Generation Removed, provides a thoroughly documented and heart wrenching account of good intentions gone wrong, both in education and in child welfare. 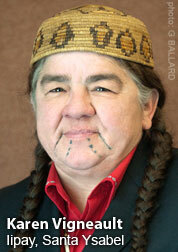 Jacobs’s specialization is women’s history, particularly the interactions between Indigenous and white women in settler nations such as the United States, Canada, and Australia. I appreciate Jacobs’ stance as a scholar all the more because she is a white feminist historian who is able to cast a critical eye on the contradictory roles often played by women of European descent. It was from reading Jacobs’s earlier work that I first encountered the Maternalism movement: the proto-feminist reformers of their day who asserted female authority and expertise (before American women could vote or hold elected office) into the public spheres usually reserved for male leadership. Jacobs’s previous work, White Mother to a Dark Race: Settler Colonialism, Maternalism, and the Removal of Indigenous Children in the American West and Australia, 1880-1940, is a massive scholarly tome. I drew on this work for my keynote remarks to the 2013 KAAN (Korean American Adoptee Adoptive Family Network) conference and at AAC (American Adoption Congress) 2014. White Mother to a Dark Race is a valuable resource, particularly for researchers with an interest in the origins of public school teaching and the social work profession. Having said that, White Mother is quite weighty and not nearly as accessible to lay readers as her latest book, A Generation Removed. Jacobs’s new book provides highly personal accounts that help readers to make sense of the social reform experiments in Indian child welfare and education from the perspective of the Native women who lost their children in the process. 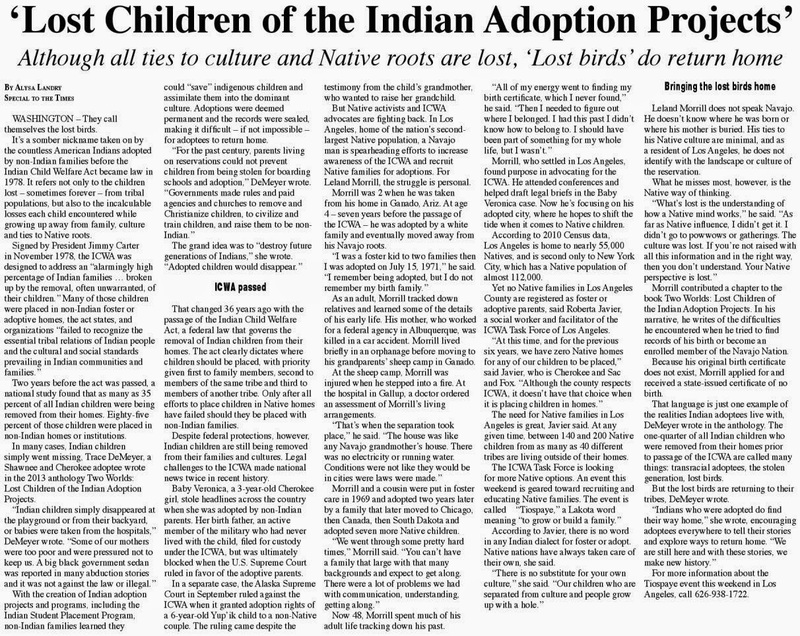 Those of us wondering what can be done in contemporary times to halt the widespread practice of family disruption still perpetuated by the adoption industry will gain inspiration from the chapter explaining how the Indian Child Welfare Act came into existence in the 1970s. 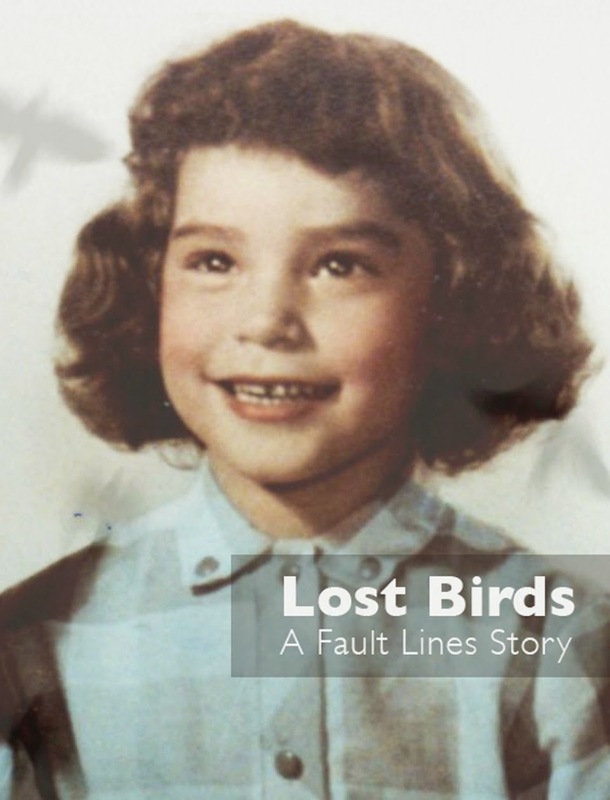 This largely untold story may also inspire activists who want to interrupt the vulture-like “baby lifts” in impoverished communities around the globe that search for “orphans” for the marketplace of adoption. Readers will learn not only the faulty reasoning that leads popular opinion-shapers such as television’s Dr. Phil (who sympathized with the Capobiancos, the adoptive parents in the Baby Veronica case) to characterize ICWA as a racist law. 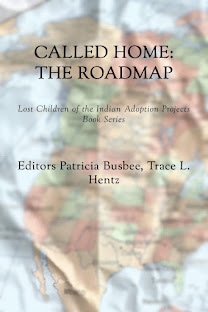 Readers will also learn how the valiant efforts of a committed group of researchers, child welfare practitioners, and first/birthmothers combined to create an effective coalition to get ICWA passed in order to protect Indian families. Key to that process, as Jacobs documents meticulously through archival records and interviews with key players, was the construction of a counter narrative that challenged the public perceptions of Indian mothers as unfit parents and drunk welfare dependents who didn’t love their children. While not denying the problems plaguing many Native communities, such as alcohol addiction, child neglect and abuse, and poverty, Jacobs offers a more nuanced and complete portrait of Indigenous families and their struggles to raise children by maintaining extended family ties, drawing on the cultural traditions that had been systematically attacked dating back to the Great Indian Wars. The struggle for extended family integrity is all the more remarkable and poignant, given the subsequent onslaught of well-meaning educators in the boarding schools that for a lengthy period preached the inferiority of Native ways and tried to replace them with superior Euro-American, Christian ways. Another way of putting it is this: There is no “post-adoption” until we have ended adoption, once and for all. 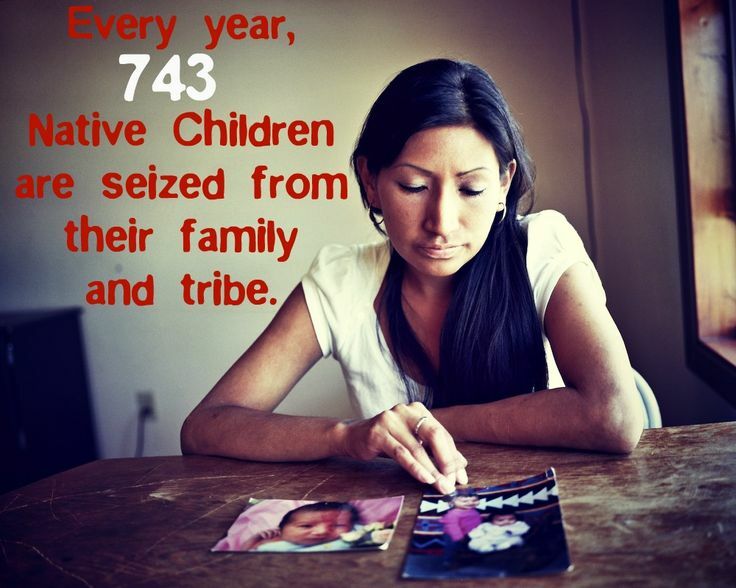 Just as the boarding school experiment for Native American children has been discredited as genocidal, just as the Indian Adoption Program has been disbanded (you can read about its rise and fall in A Generation Removed), so too, I anticipate that the transracial and transnational adoption experiments will be replaced by a much more just and humane practice that is less about the business of selling children (and in the process, disrupting extended families of color), and more about ensuring justice and care for the most needy and vulnerable—namely, poor women of color and their children around the world.